‘Old MacDonald had a farm’ is a traditional song that is easy to learn and fun to repeat for students of all ages. Find the sheet music and words for the song at the end of the Teacher's notes. 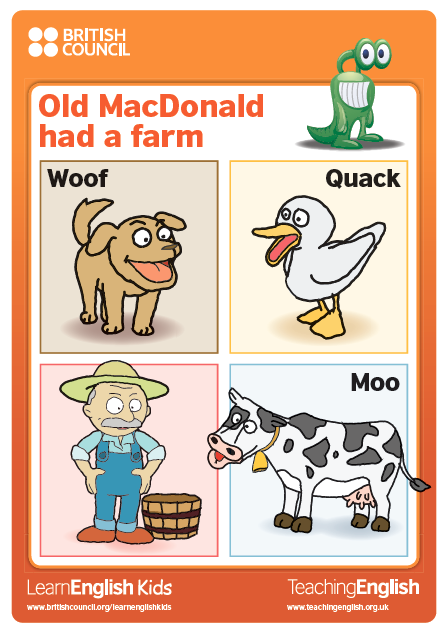 Here are some ideas for using the‘Old MacDonald had a farm’ poster with your learners. The poster is based on the version of the song on the LearnEnglish Kids website.